I love teaching math! 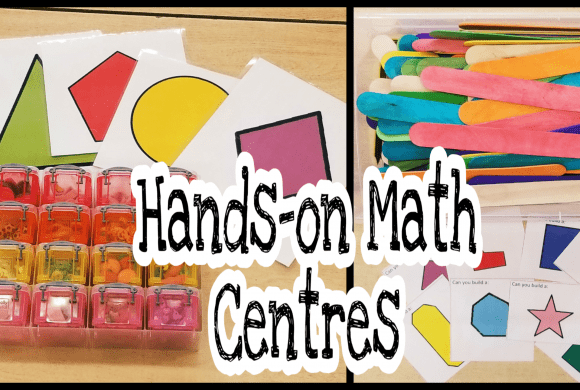 My students love math and they believe that they are good at math – and they are! That doesn’t mean that they get every single correct, but with the mind frame that they are mathematicians they are willing to attempt questions and approach problems with confidence. One of the benefits of teaching kindergarten is that our program is play-based so our math program is hands-on and fun! 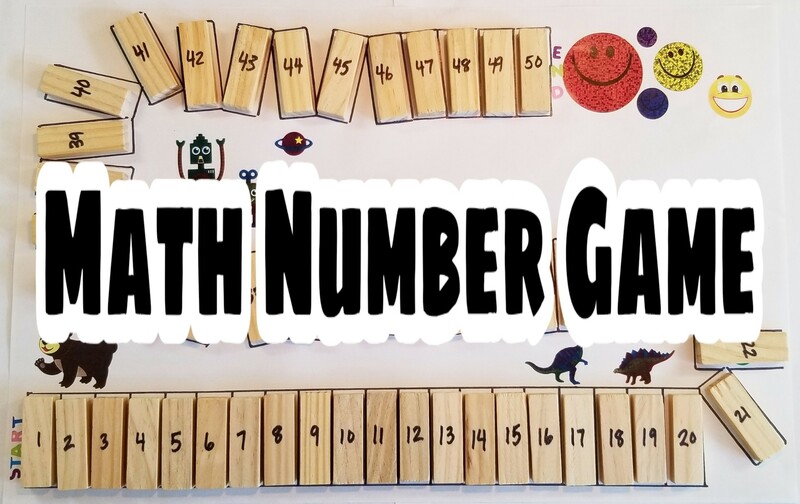 I created this math number game to try out with my students and it was a hit! I have recently been using small wooden blocks that I found at a dollar store. We have used them for various S.T.E.M. activities (for ideas click here). 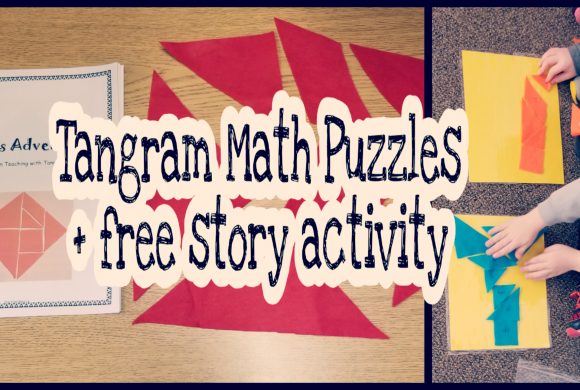 My students enjoyed using them so I incorporated them into our math lesson. I started by counting out 50 blocks. I laid them out on a large sheet of paper to create a path/game board. Once I was happy with how they were laid out, I then traced each block and added the numbers. Next, I wrote the numbers 1-50 on each of the blocks. 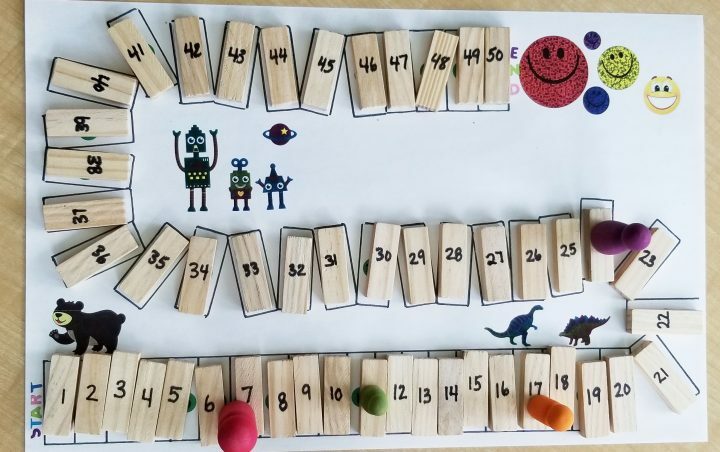 Groups of 3-4 students were then given the game board along with a bag of numbered blocks. They evenly split the blocks between themselves and began working to create their game board. Students looked at the blocks numbers and worked to match their block to the correct space on the board. When students came across a number that they didn’t know, such as 43. They used different strategies to find their number. For example, they looked where the row of numbers starting with 4 and then followed the pattern to find 43. 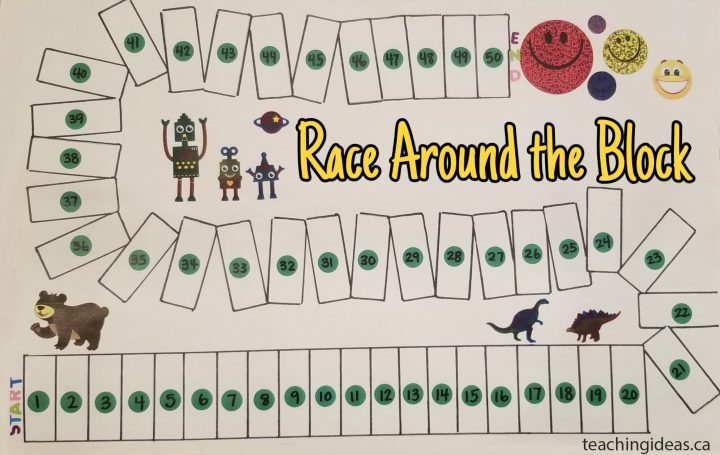 There are 2 ways that I tried this game with my students. 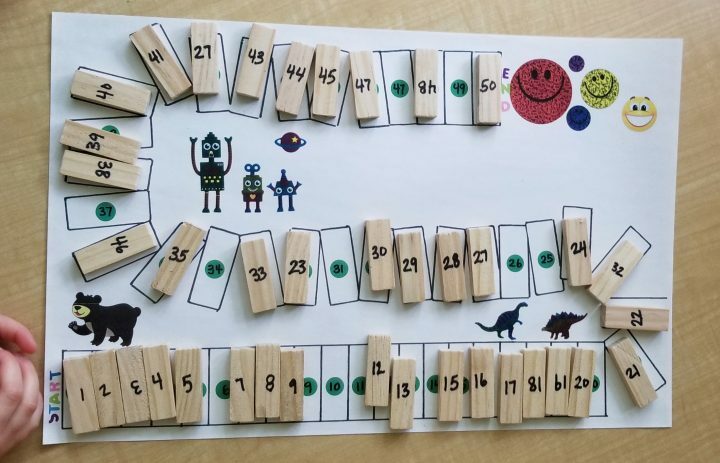 One way, is to have students start at one and place the numbers in numerical order. Each child checks their pile of blocks and looks for the next number. 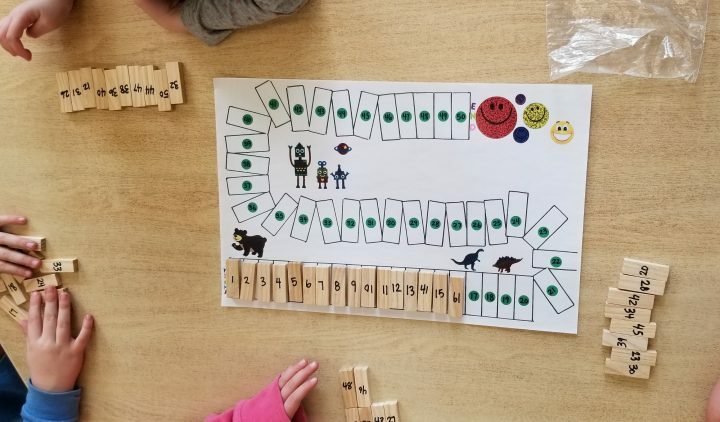 The other option is having students place each of their blocks onto the game board at their own speed, and in any order (but still on the correct numerical number). In the end, either way you play, the board will still be completed and ready to use to play. Once students completed their board, and it was checked, I then gave the group game pieces and a die. Children then Raced Around the Block to get all the way to 50. The game is great for number recognition, matching, counting, subitizing, and even team work. It was a great hands-on math period! 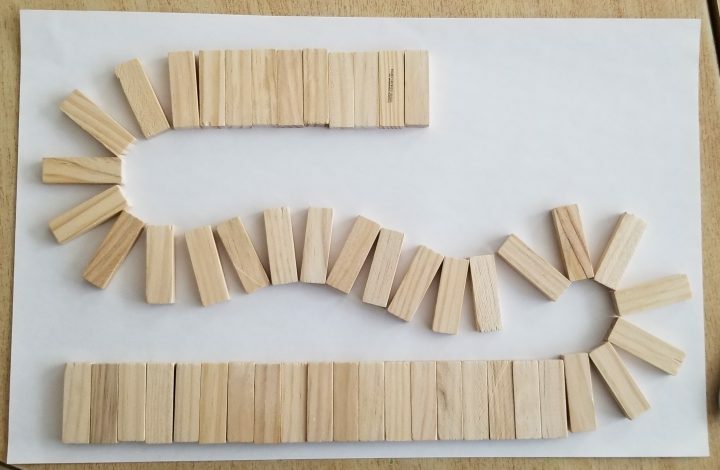 Although I love using the blocks and they are great for kinesthetic learners, if you are unable to find blocks to fit the game board, you can always simply cut 50 rectangles out of construction paper and use them instead of the blocks. 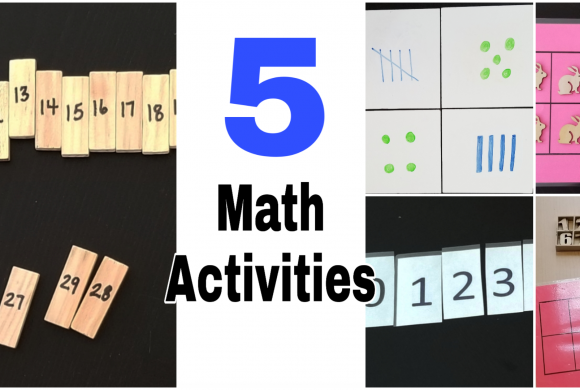 Also, if you are focusing on specific multiples, such as 5, you could give children only those blocks that are a multiple to find and place on the board.